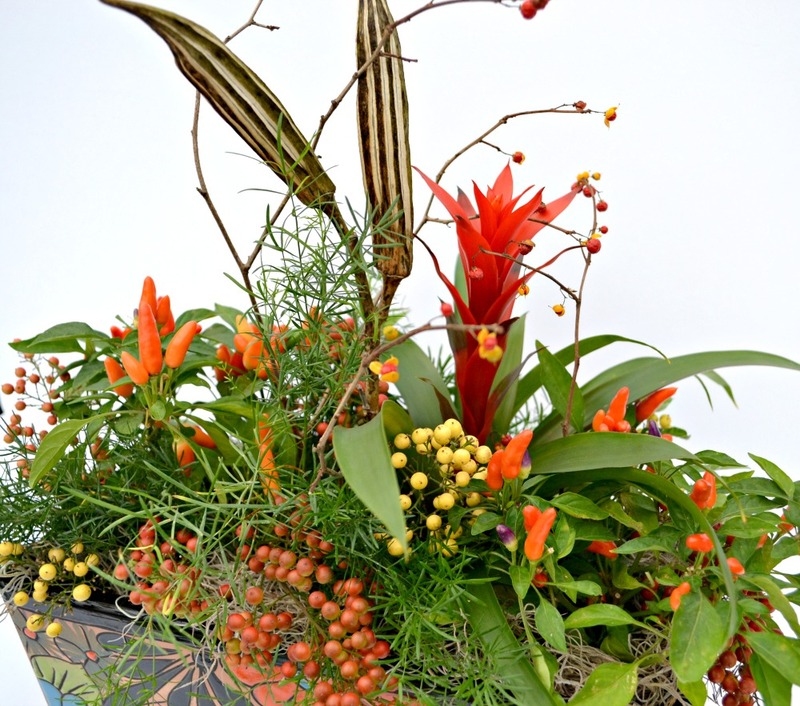 Set the scene for a cheerful Thanksgiving with vibrant petals, unique foliage, fresh cut stems and natural elements. 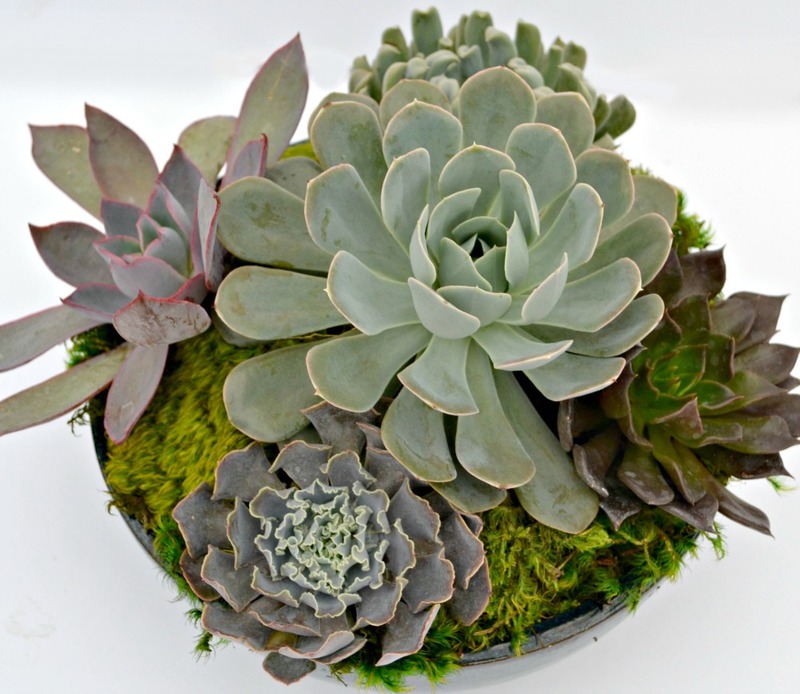 Turn up the turkey table with these interesting Thanksgiving centerpiece ideas from the creative experts at Fairview Garden Center. Talavera pottery is a type of maiolica earthenware that originated in Puebla, Mexico. 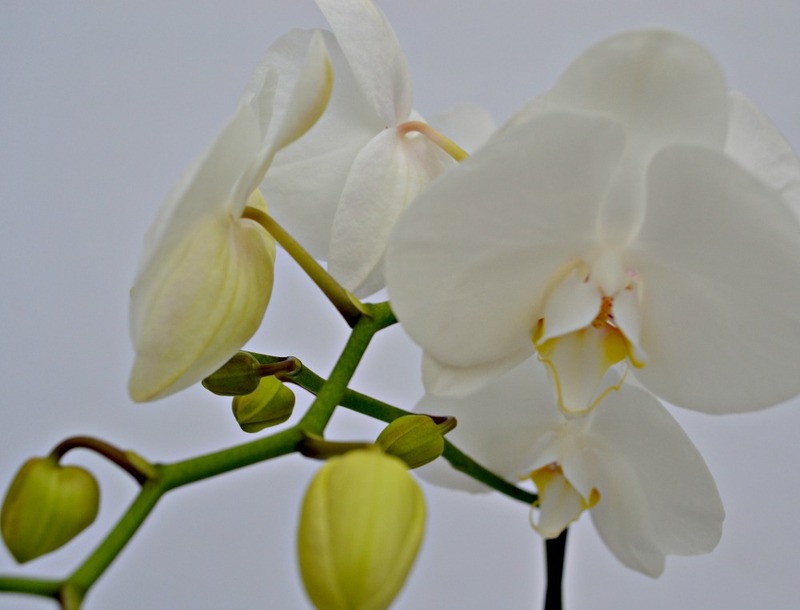 It is known for its elaborate creation process and brightly colored patterns. 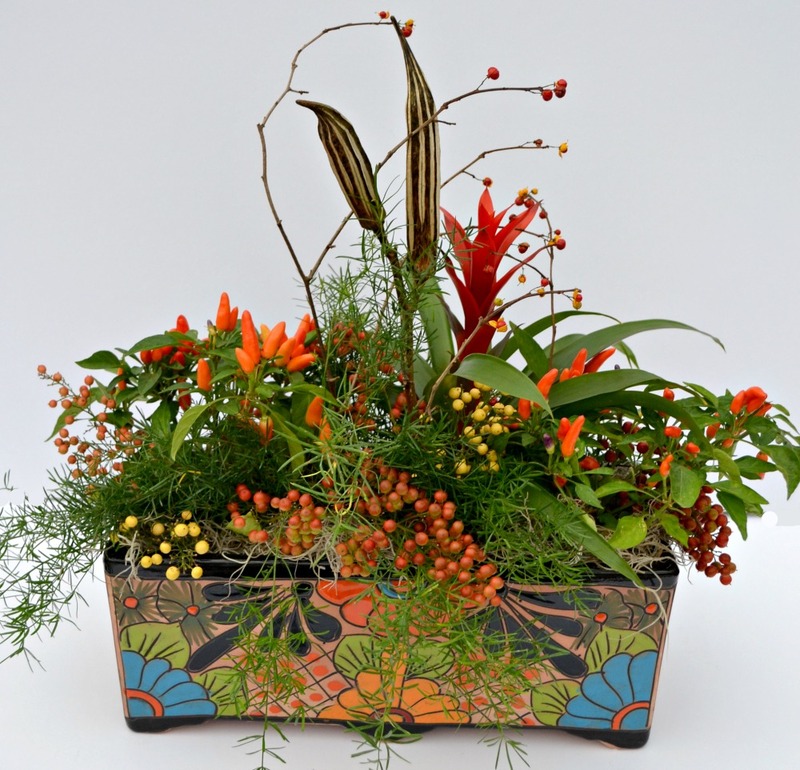 This pottery makes an excellent base for a unique fall centerpiece planted with bright orange ornamental peppers, bromeliad and asparagus fern. 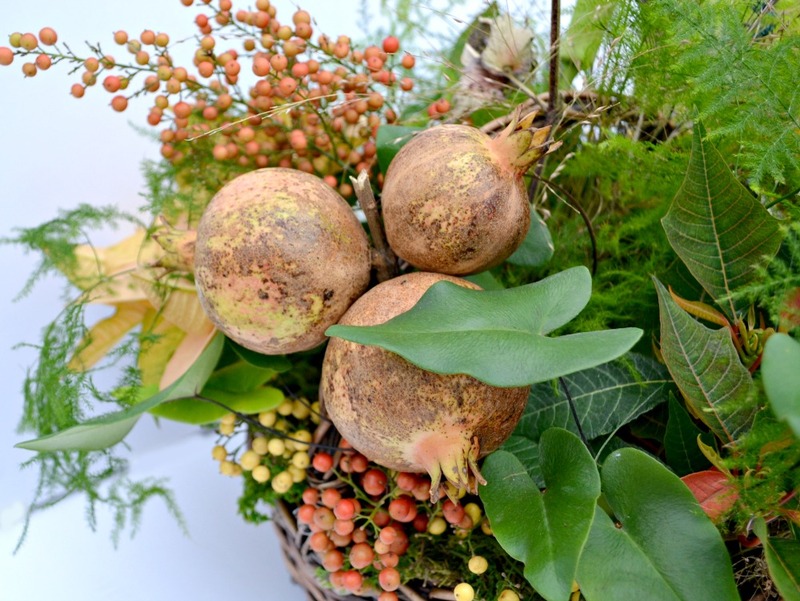 Fresh cut sprigs of Nandina berries and dried okra pods complete this look is for the Thanksgiving table. 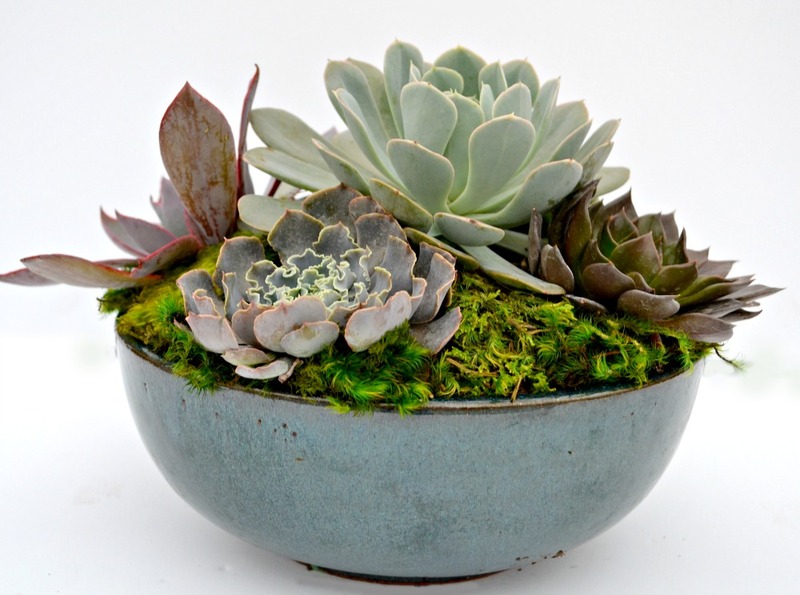 Specially selected varieties of easy to care for Echiveria are paired with delicate mood moss and planted in a shallow blue bowl. 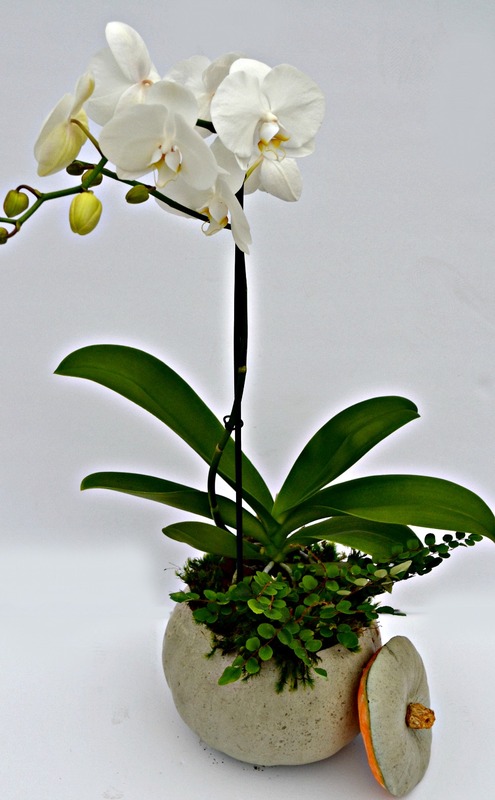 This small scale but high impact arrangement is the perfect addition to a Thanksgiving side table or buffet. 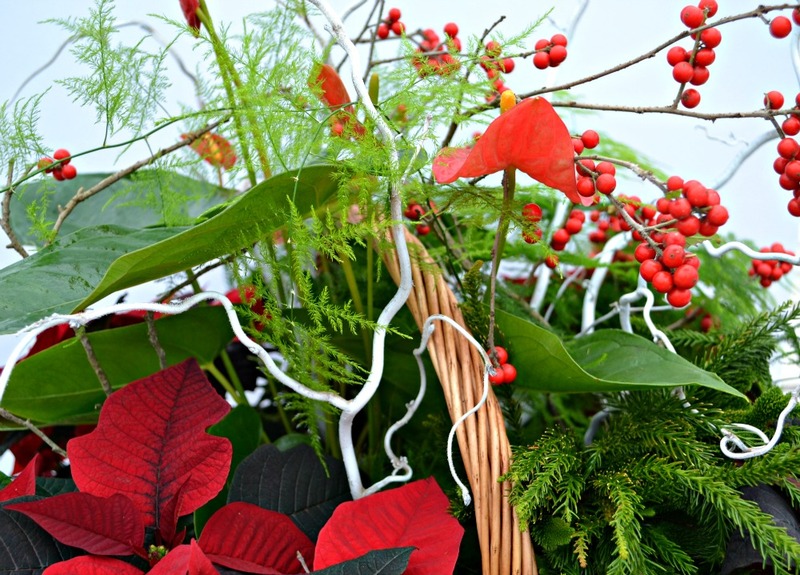 November is a great time to pick up a poinsettia. 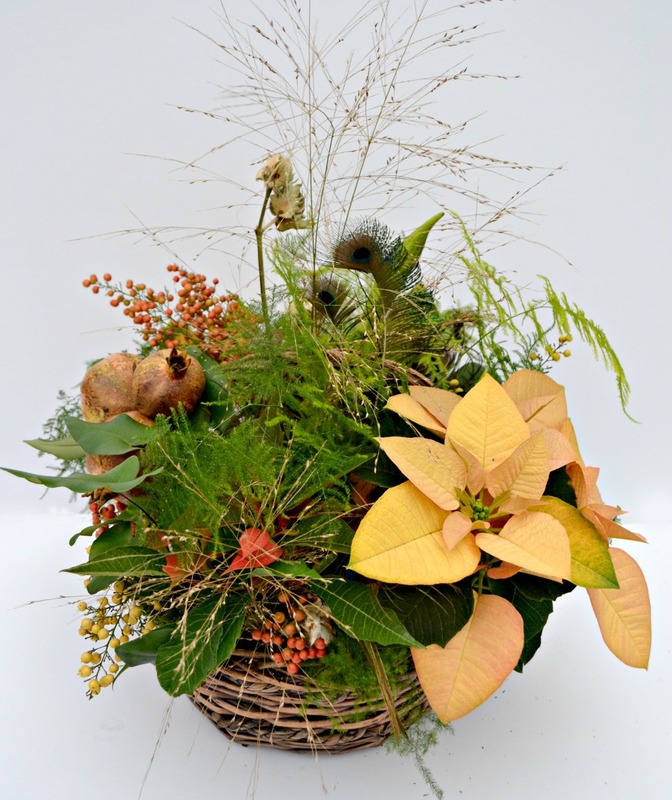 The addition of unique new varieties like ‘Autumn Leaves’ and ‘Orange Spice’ give Poinsettias an extended season. 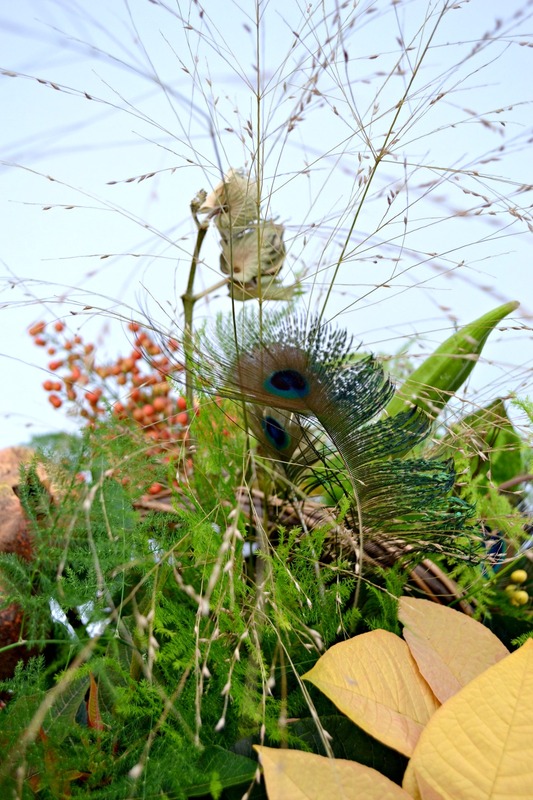 The yellow-gold bracts contrast perfectly with fresh pomegranates, cotton stems, peacock feathers and flowering grass sprigs. 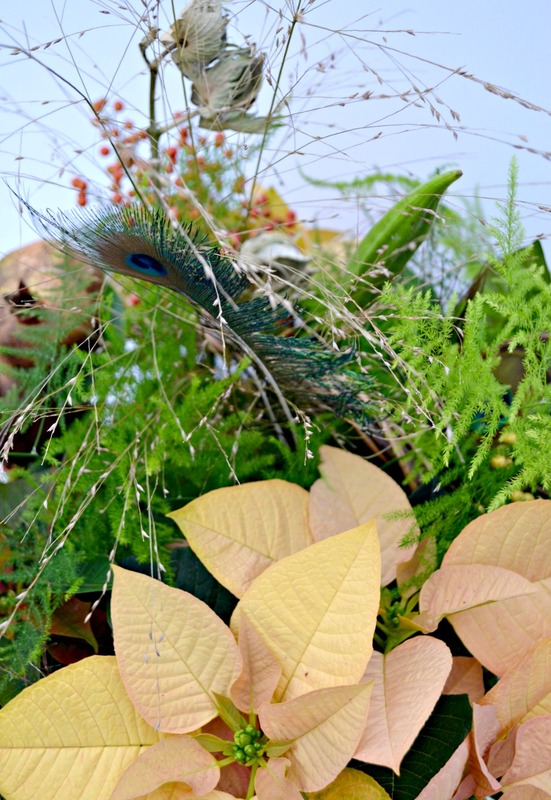 Foliage fillers like Croton, Plumosus Fern and Heart Leaf Ferns add delicate texture and fullness to this Thanksgiving arrangement. Heirloom pumpkins are an interesting addition to any fall decor. 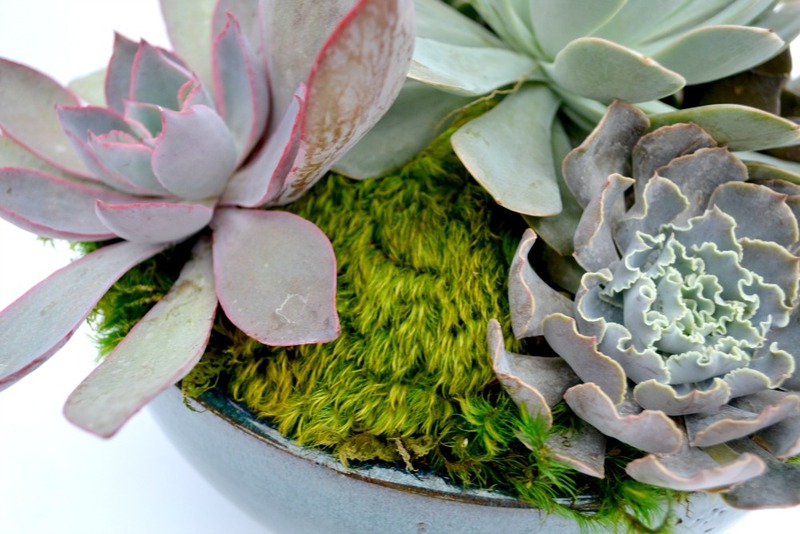 Why not give a pumpkin another use by carving it out as a planter? 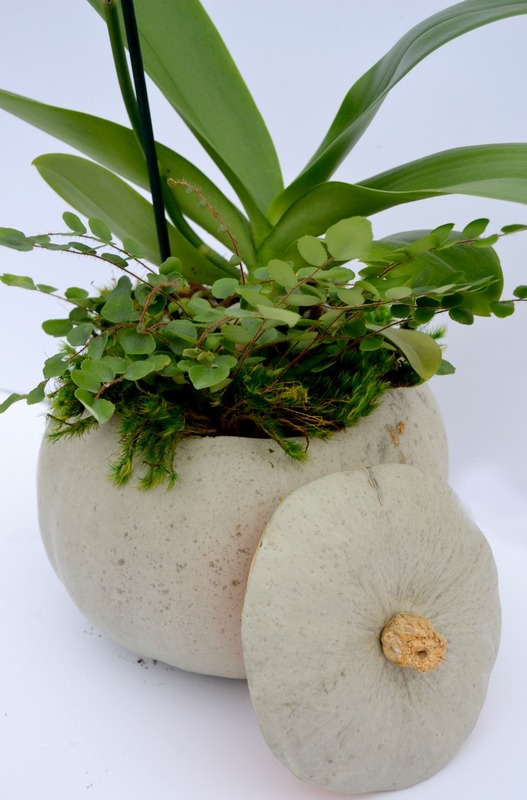 A white Phalaenopsis Orchid is planted in an heirloom Jarrahdale pumpkin and filled with a Button Fern and mood moss in this elegant fall arrangement. The pineapple has long been used to express a sense of welcome and good cheer at gracious home gatherings. 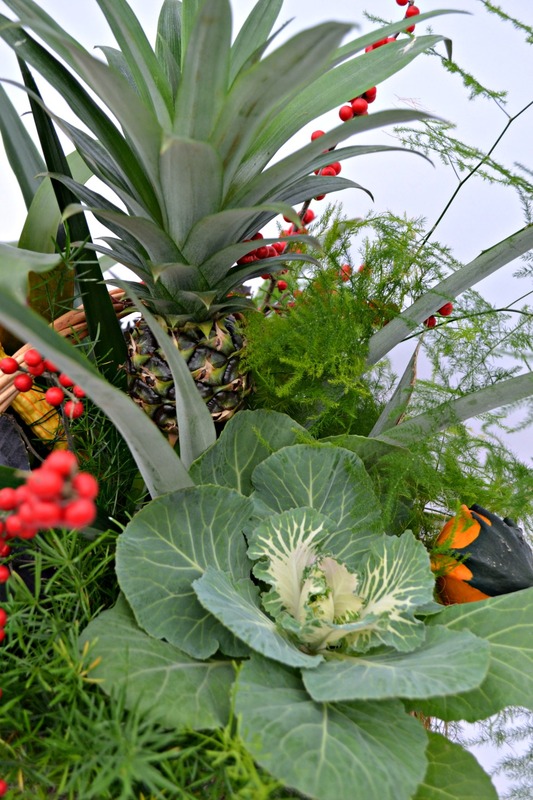 In this Thanksgiving arrangement an easy to care-for Pineapple plant is paired with a bright orange Bromeliad, Asparagus Fern Plumosus Ferns and Ornamental Cabbage. 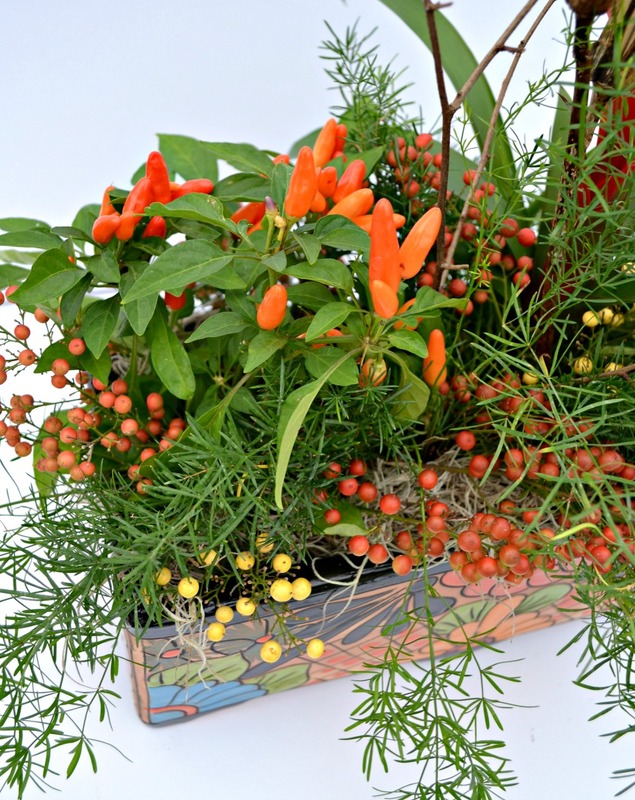 Fall gourds have been added for a pop of color and texture. 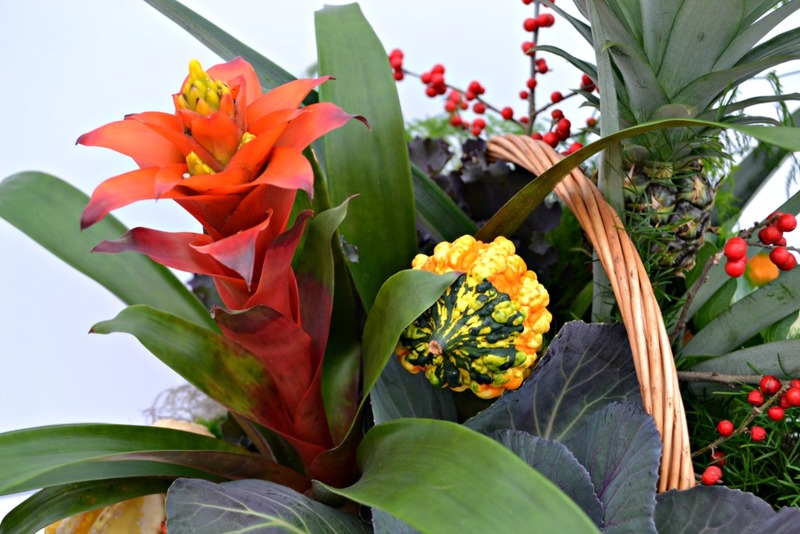 Use the warmth of red to transition a centerpiece through multiple holiday gatherings. 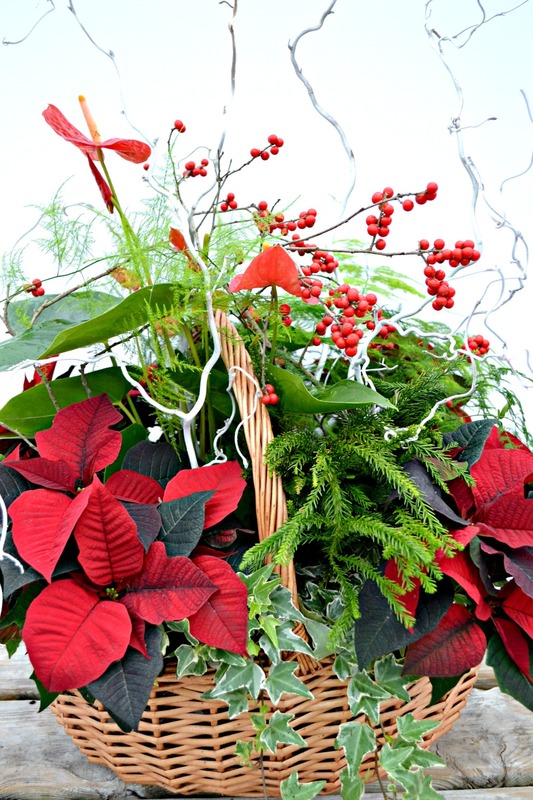 Red poinsettias are planted with Variegated Ivy, Red Anthyrium and Plumosus Ferns. 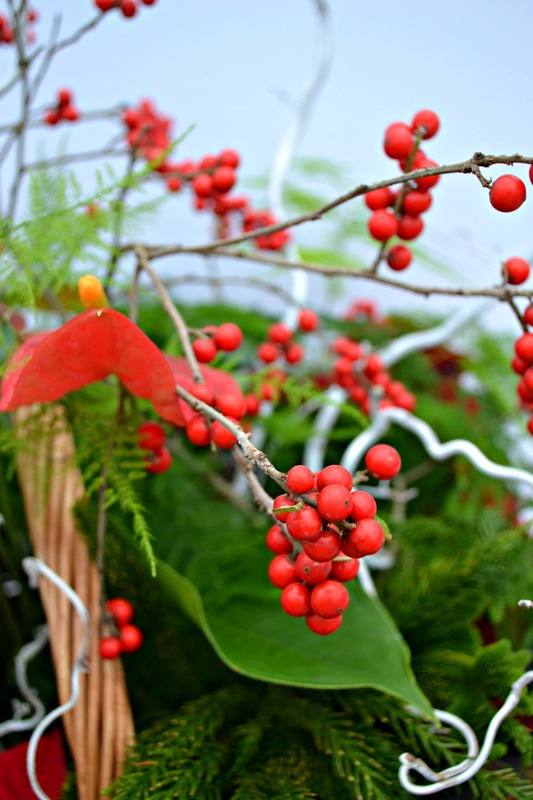 Sprigs of Winterberry Holly, Cryptomeria foliage and flocked branches of Harry Lauder’s Walking Stick add height and interest to this Holiday arrangement. 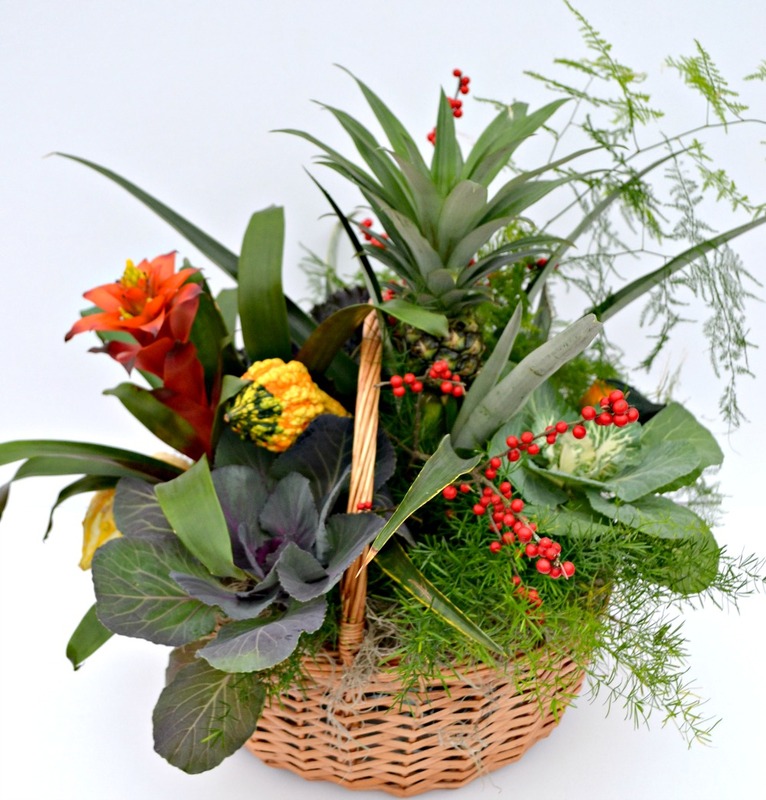 We can create a custom holiday centerpiece for your family gathering or seasonal event. Just stop by or give us a call!